World Travel Show – a source of inspiration for travelling! 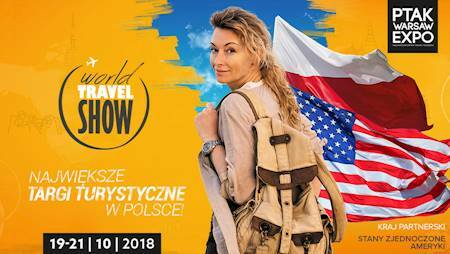 The third edition of World Travel Show - the biggest tourism and travel fair in Poland is coming soon! 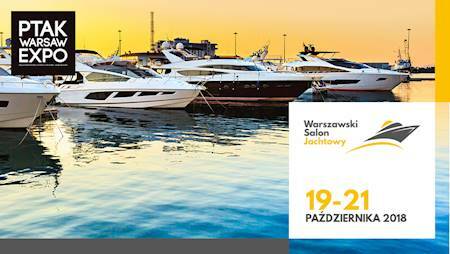 We invite you to Ptak Warsaw Expo located near Warsaw where we will present the whole world in our exposition halls. Don’t forget to reserve your time through 19- 21 October 2018, we are waiting for you! More information coming soon. 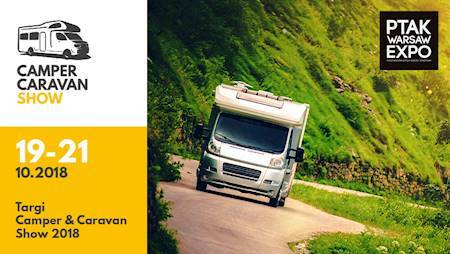 At Warsaw Travelers Festival you will be able to meet more than 100 travelers! Martyna Wojciechowska, Wojciech Cejrowski, Aleksander Doba, Crew from Busem Przez Świat - Around the World in a Bus, Kaja Kraska from Globstory, Ewa Chojnowska-Lesiak, W Szczytowej Formie, Taste&Travel by Agnieszka Trolese and that’s not all! The fair will begin with an extravagant gala, during which, we will present awards to travelers in eight different categories. We will also prepare a special fan zone, where you will be able to meet your favorite travelers, take pictures in the photo booth, and talk to them about their journeys. Children under 7 - free entrance. Normal Ticket - One day ticket allows for entrance on the chosen day through 19- 21 October to 5 different halls of exposition: World Travel Show, Warsaw’s Jacht Salon, Camper Caravan Show, Foreign Touristic Salon, Domestic Tourism Salon, Warsaw Travelers Festival, (including the fan zone), Asia’s Culture Festival, Nela Zone, Yerba Mate Festival. Tickets to the Fan Zone at the Warsaw Travelers Festival – allows you to enter the fair as well as the fan zone, during the chosen days between 19- 21 October 2018. (a meeting with the travelers at the travelers cafe, receive an autograph or a photo. Weekend ticket - a two day ticket allows you to enter saturday and sunday, in the days 20- 21, October 2018 to 5 different halls of exposition: World Travel Show, Warsaw Jacht Salon, Camper Caravan Show, Foreign Touristic Salon, Domestic Tourism Salon, Warsaw Travelers Festival, (including the fan zone), Asia’s Culture Festival, Nela Zone, Yerba Mate Festival.